ONE: Start the day before!! Be sure you drink plenty of water the day before your wedding, and think about bumping the bachelor party/epic throw down to the weekend before. I’ll tell you what makes for a not-so-glorious morning of your wedding—that’s a hangover. Get your rest, stay hydrated, throw some lavender in a diffuser, and have a chill late night and morning. TWO: I always tell couples starting the day off peacefully is key to a stress free wedding day. For the guys, that might mean a morning on the boat or a round of golf, and for the ladies there’s nothing like brunch and a mimosa to kick off the celebration! Regardless of what your morning looks like, build in extra time…like EXTRA time. Take the schedule leading up to the start of your photography (or the organized part of the day), and add 20-30 minutes to every end time. YES, it might seem unnecessary, but trust me, you don’t want to be rushed in any way! 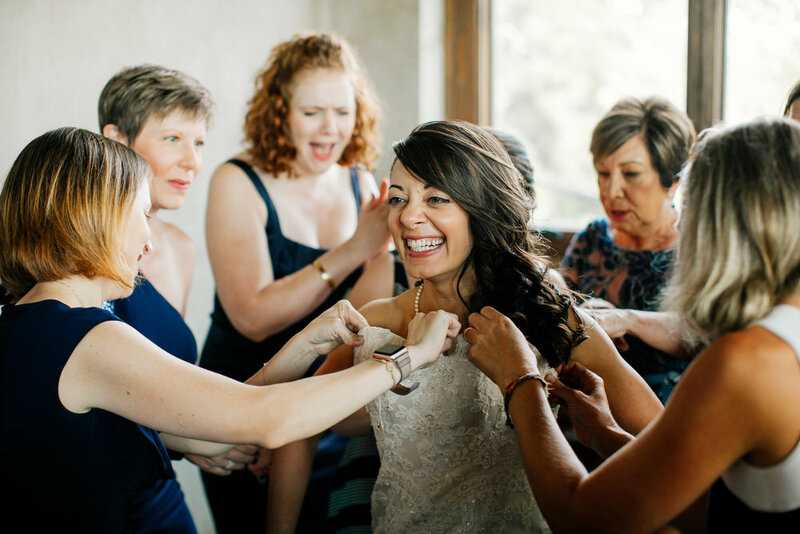 Another tip is have your finish time for hair and make up artists and wedding party getting ready 15-20 minutes earlier than it has to be. The average behind time is 15 minutes throughout the day, so if you have that built in, you’ll be super pumped when the day flows seamlessly! The last thing we want is for you to feel stressed about the clock. THREE: Consider the location you’re getting ready. In our experience, the least amount of location logistics you and your vendors have to worry about, the better. Getting ready at a hotel? Have all the important people in the same hotel. If you are worried about the guys and girls seeing each other, you can ask the front desk to be sure you are separated by a couple floors. There will be plenty of “he needs this” and “give her that” and “be there then” throughout the day, so only being separated by an elevator is a huge plus. FOUR: While we’re on getting ready locations, consider the natural light in the space! 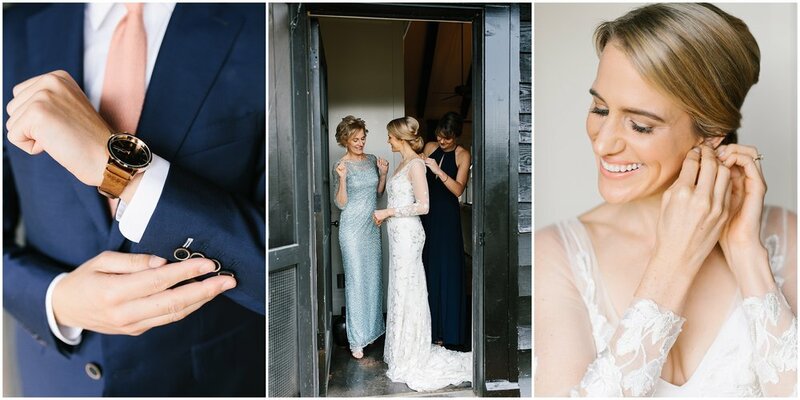 I know you want those beautiful getting ready photos (they can be filled with so much emotion—I literally just teared up thinking about it), and we want to do them justice! Your make up artist will love you also! Natural light also contributes to your happiness!! Your brain releases serotonin (the mood-lifting chemical our body produces) more often in the sunshine! So be sure you have those windows, honeeeeyyyy! And don’t forget about the guys. They often get stuck in the basement, but they need that mood-boosting, amazing picture taking, light also! FIVE: Lastly, DESIGNATE PEOPLE…and not you or your mom. You, your spouse, and parents should enjoy the day. Your friends and family are there for YOU, so start delegating. If you’re into sports like me, they are your teammates! Don’t be a ball hog! ;) Also, don’t wait until the morning of. 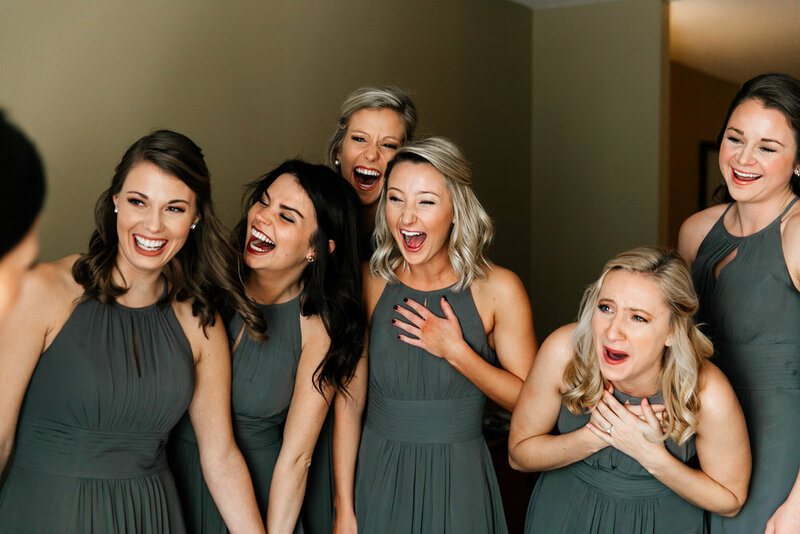 Sometime the week before, make a list of all the things that need to be remembered, done, or distributed day of, and ask responsible wedding party and family members to take certain tasks. Write their names by each task, and send a copy to everyone involved. That way, everyone knows their responsibility, and people can keep each other accountable. This is your one chance to put the smackdown on people and be completely justified! Got some advice for a future bride or an experience that worked well for you? Drop it below!